Between beautiful styling and solid wood construction, beauty sleep just became better. 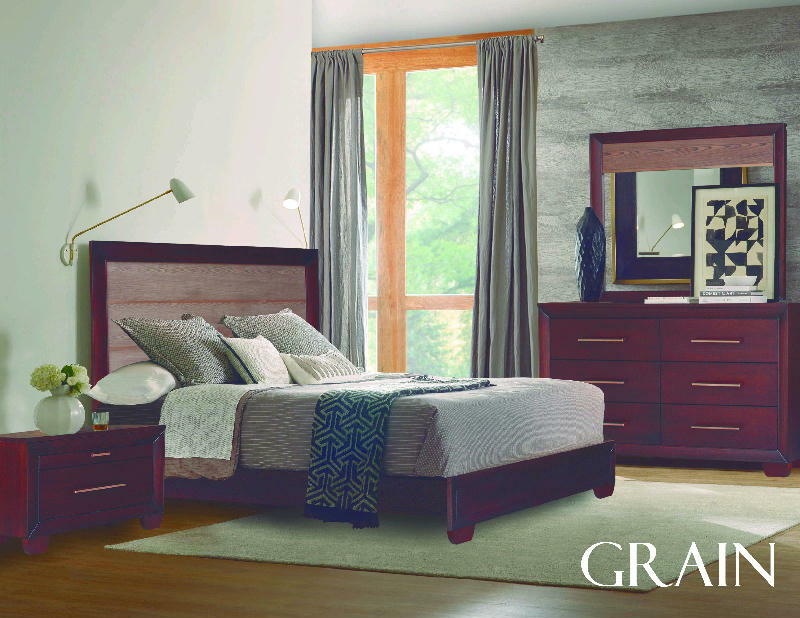 The stylish Grain collection is constructed of pine solids then finished in espresso for a sophisticated, timeless look. The stylish Panel bed features unique wood grain design with bronze accents, which is used throughout the collection. Prepare to have sweet dreams in style.